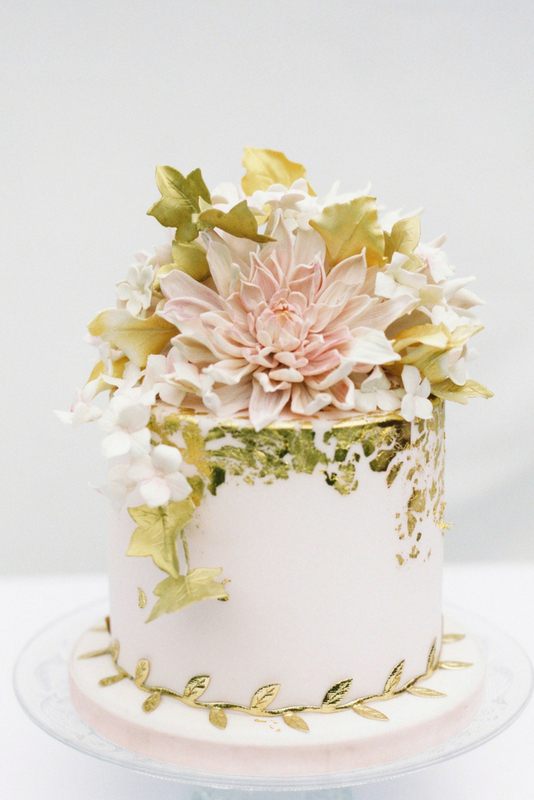 Cakes by Krishanthi - interview with luxury artisian cake maker. 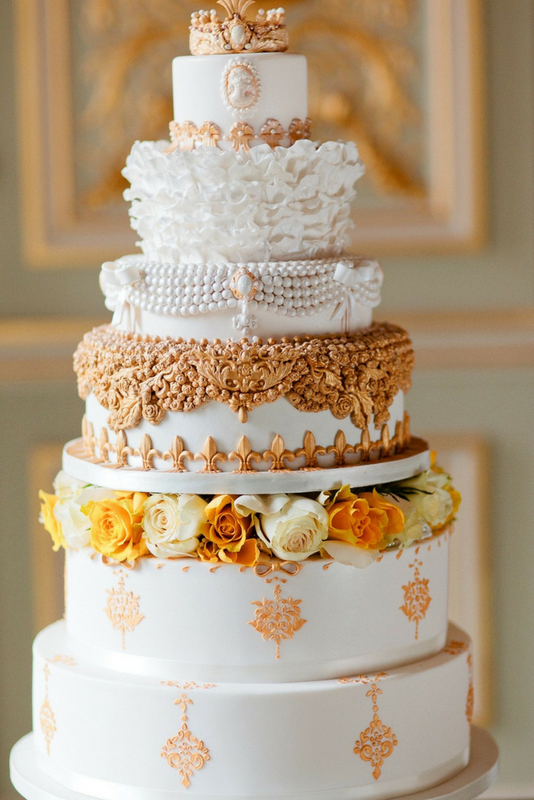 Cakes By Krishanthi create edible works of art with individuality that are truly delicious and distinctive. 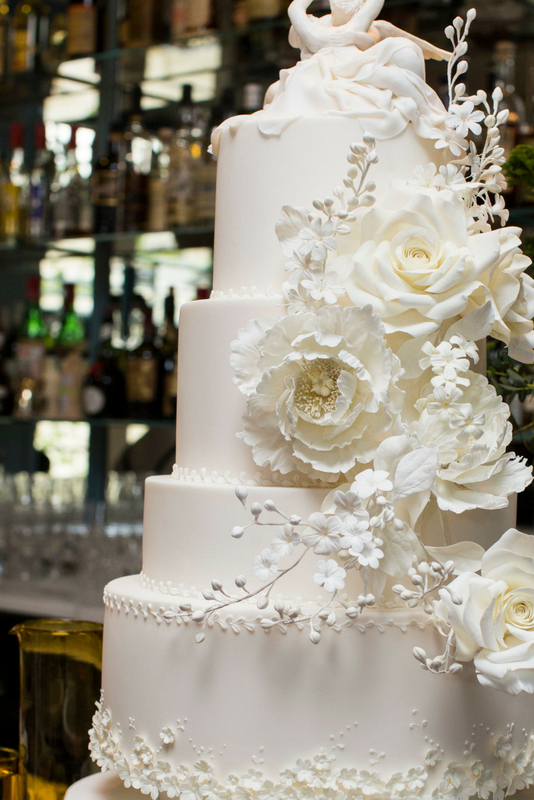 We were blown away by the most exquisite wedding cake that Cakes By Krishanthi recently produced at Kent House Knightsbridge. 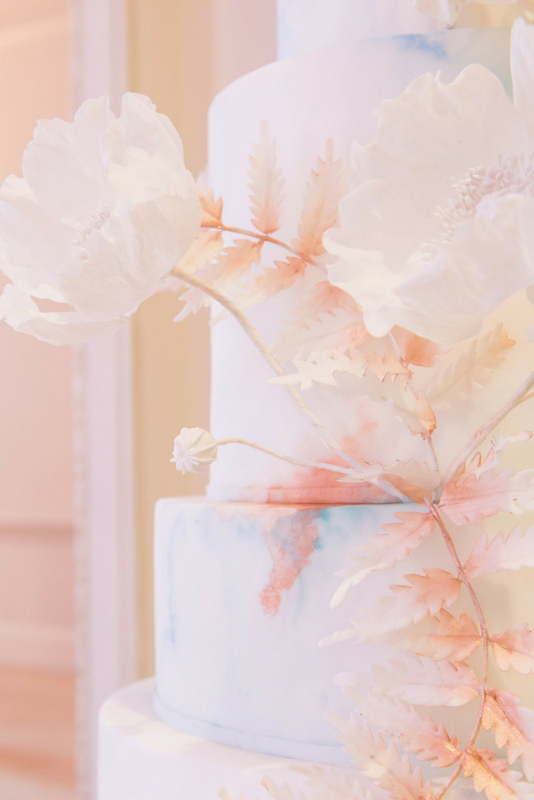 Krishanthi is known for her artistic talent and creative flair and makes the most stunning sugar work; intricate and delicate and yet striking enough to make a statement and be the focal point for a special occasion. 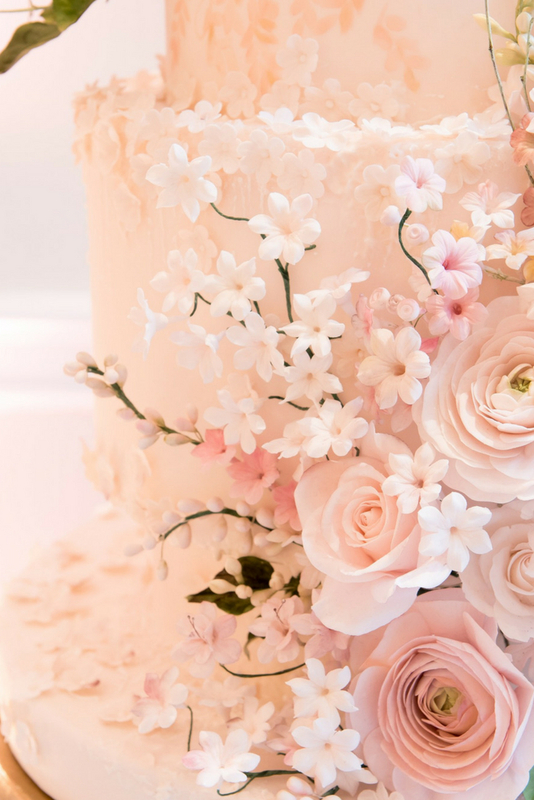 We caught up with her to find out more about her luxury cake business and how she has become an approved supplier at some of the most prestigious venues and is regularly featured in leading magazines and blogs. Where did you learn to bake cakes and when did you develop your passion for cake decorating? As a child I always enjoyed baking with my family members and later during my university years in Germany, I developed a real passion for Continental baking. I didn’t, however, plan on turning my hobby into a business until well after I had my two children. I enrolled on a couple of part time sugar craft and royal icing courses at Brooklands College and from there I took the plunge to set up my artisan baking business in 2010. What were you doing before setting up Cakes By Krishanthi and what made you want to have your own business? I studied Sociology and German in Germany, before embarking on a short lived career in investment banking in London. When I had my first child I didn’t feel that the daily commute and the corporate world were conducive to raising a family. I explored various other career options before setting up my own cake business. You’ve created a wide range of cakes and designs – how would you best describe your cake decorating style? Arty, unique, ethereal; individually handcrafted luxury creations with exquisite detail. 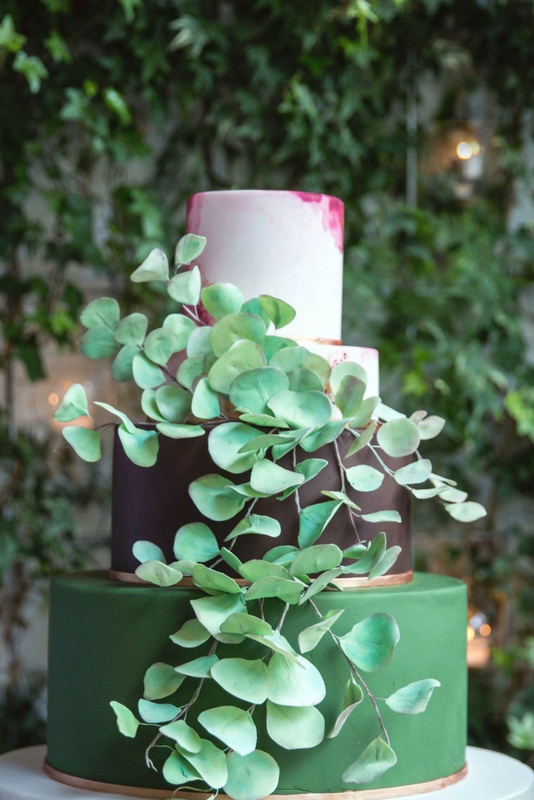 Alongside your wedding cakes, who commissions you and can you tell us a bit about some of the statement cakes you’ve been asked to design for events? We work with the press frequently who ask for original designs to be featured in their magazines. Commissions like these mean that Cakes By Krishanthi have a golden opportunity to push the boundaries and create truly artistic designs for their readership. Other companies we have worked with include De Beers and Caviar House Prunier. For De Beers we designed a stunning ivory cake with the sculpture of cupid and psyche handcrafted in white chocolate as a cake topper. 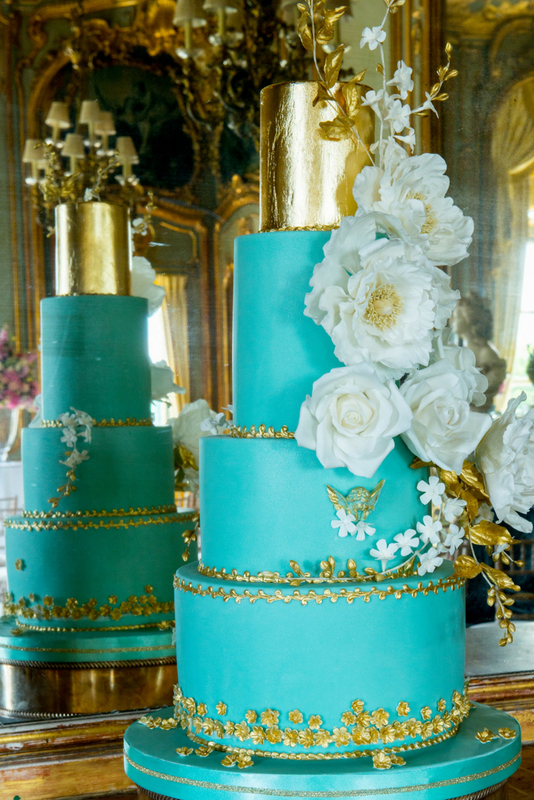 This cake was designed to mark the the launch of De Beer’s cupid and psyche engagement ring. 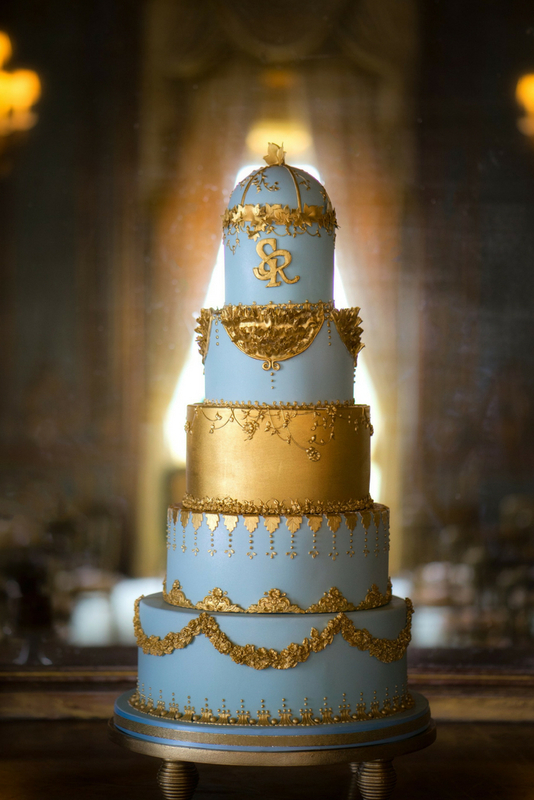 Recently we designed a grand wedding cake to celebrate the Royal Wedding of the Duke and Duchess of Sussex for Caviar House Prunier. What are some of your career challenges and triumphs to date? 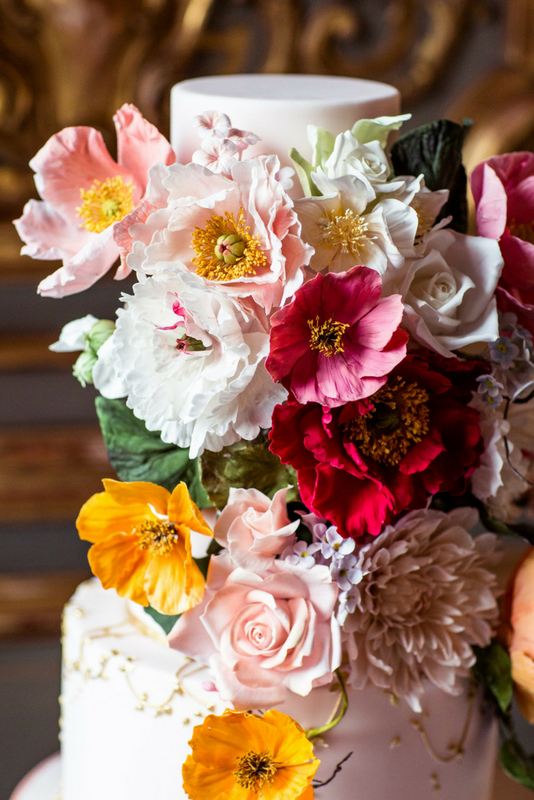 A few years ago, I made a conscious decision to remain a luxury artisan business so that I am personally involved in every stage of all of our clients’ weddings and other commissions. The service we offer is very bespoke and stress free as all our clients deal with me personally. 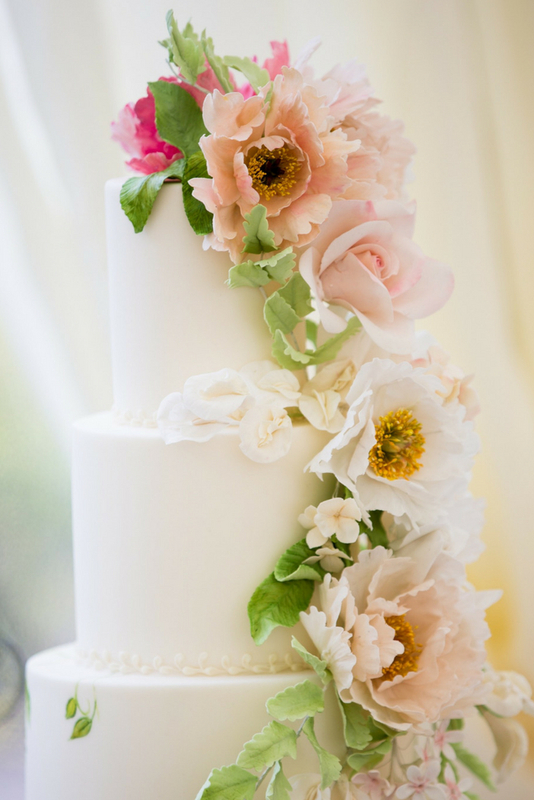 Cakes By Krishanthi have become a true trendsetter. 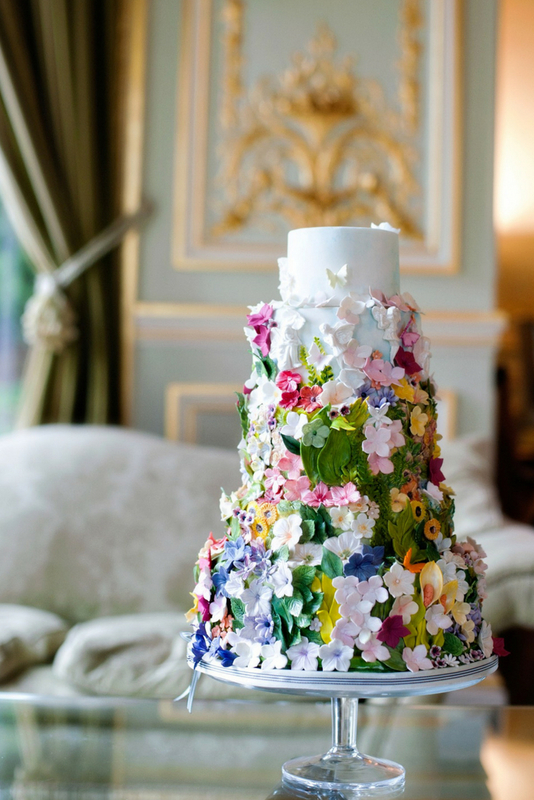 We have created quite a number of designs, whether it be cakes with lots of handcrafted delicate sugar flowers, semi naked or hand painted cakes, and cakes with blousy colourful sugar flowers, sugar antlers or metallic cakes, which have all become a big trend in the last few years. Being a trendsetter equally means our designs get widely copied. This is a recognition of its originality, but also a major challenge because people don’t necessarily always know who first created these designs. 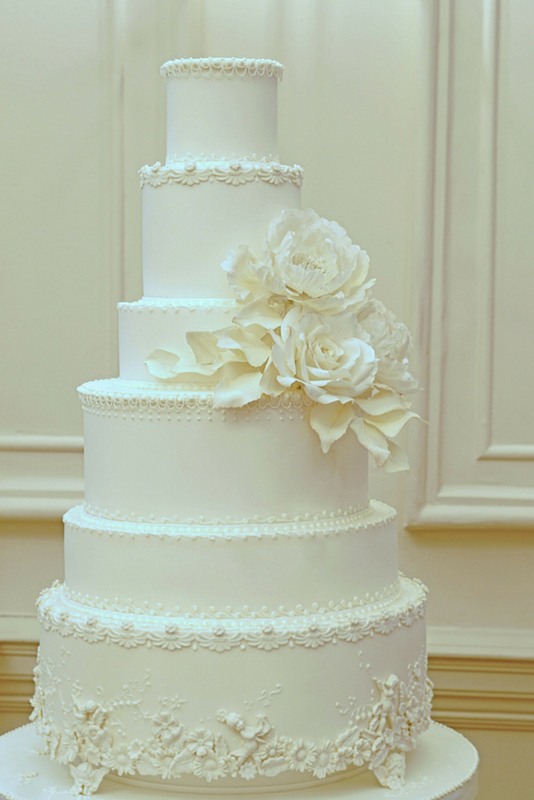 Could you tell us about the design process for creating your cakes? Every cake we design begins with understanding the vision of our clients. We start with a consultation to truly understand the requirements of our clients for their special day. 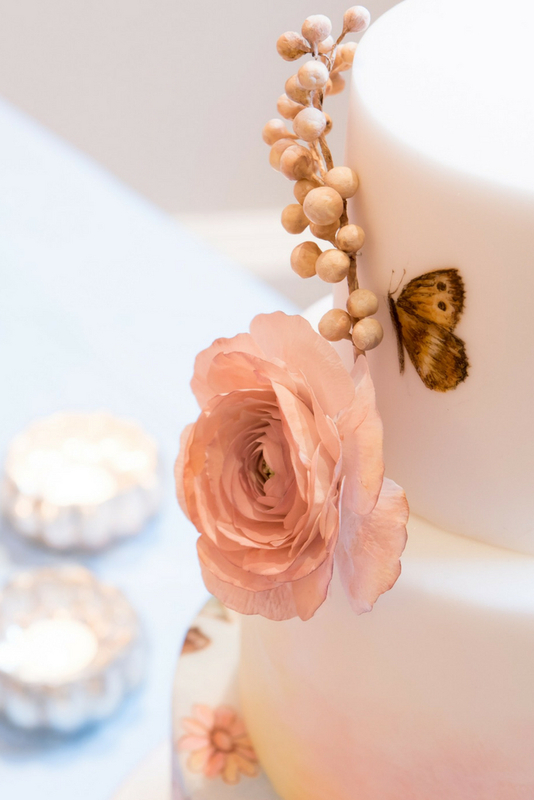 During the consultation, we will discuss their ideas such as colour palettes, themes, flowers, venue, cake flavours and any other preferences. Clients also get the opportunity to sample up to five of our delicious cake flavours. Where do you get the inspiration for your designs? For me inspiration is something I am always looking for and once I’ve found it, I allow myself to follow its path, wherever that may be. I can’t pinpoint just a single avenue of inspiration, there are many sources, but generally they are the things I love; nature, art, architecture, fashion, culture, flowers or even just colours. Whatever the inspiration is, all my cakes begin as a blank canvas and through a myriad of influences something incredible takes place. It’s this process which helps create my own individual style. 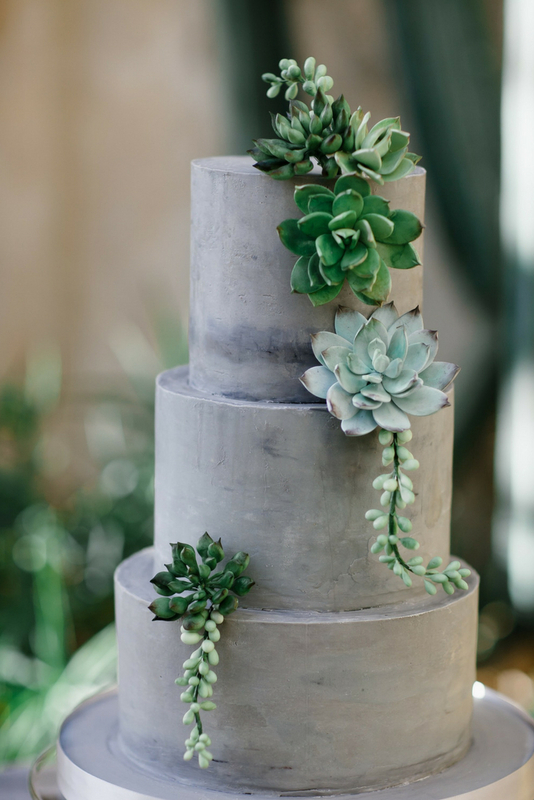 What’s the most unusual cake design you’ve been asked to create for a client? For me every cake is special, as I work very closely with all our clients. But if I had to choose one design, our Midsummer Night’s Dream cake has received the most attention from both our clients as well as from the press worldwide. I once designed a wedding cake for a couple, one of whom is a renowned artist, incorporating our Midsummer Night’s Dream design. They put their own spin on it by adding a sugar peach and pear nestled on top, to reflect that they are referred to as “peach and pear” by their family and friends. The cake was set on a tree trunk surrounded by flamingoes, parrots, owls and lots of foliage. 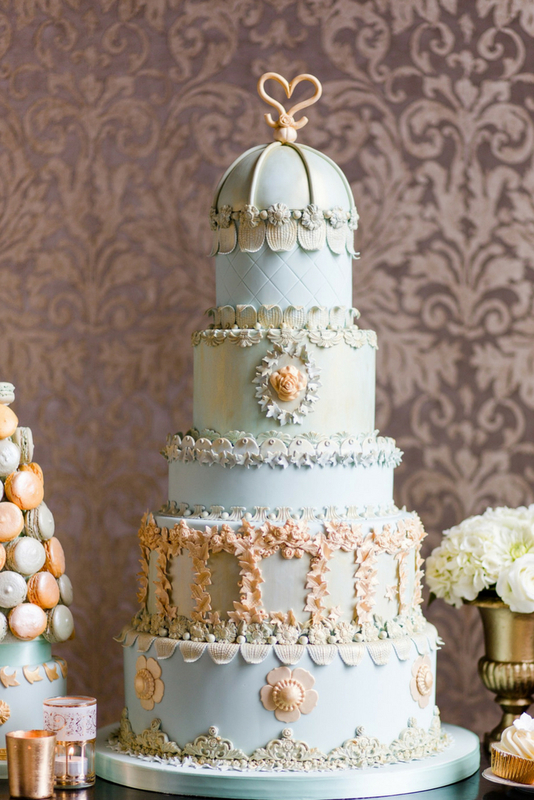 Alongside your stunning cakes you also create the most beautiful dessert tables. Can you tell us what treats you like to include to entice guests? Dessert tables are still popular, with a range of cakes and desserts in similar shades to fit the wedding colour theme/fresh florals. We offer tiered cakes, tiered brownies, individual mini cakes, individual buttercream cakes and cupcakes, macarons, meringues, profiteroles and tarts. Our clients do not have to choose from our list of cake flavours. If they have a special wish for a particular sponge flavour we are happy to go out of our way to make this. In fact, some of the flavours we currently offer were special requests by some of our previous clients, for example, pistachio cardamom or almond infused with clementine and orange curd or Belgian dark chocolate sponge layered with Oreo cookies and salted caramel. What’s the most intricate piece you have created and how long did it take? It probably has to be psyche and cupid cake for De Beers. The two figures were individually carved and sculpted with white chocolate. The figures alone took me eight days to work on and the delicate sugar peonies, roses and blossoms took a further four days. Social media is enormously important for my business. More and more couples/clients are using, in particular, Pinterest and Instagram to find inspirations and to find their wedding suppliers. The downside to social media is that it can be quite overwhelming and daunting. I think it is important to strike the right balance and not get lost in the world of virtual reality. Meditation, photography, experimenting with new cake flavours and most of all spending my free time with my family. If I am not working in the studio then you will most probably find me somewhere in Bushy Park or Richmond Park taking photos or going for walks. I also like to experiment with new flavours and I tend to do this in my free time.